We built a tool to check if your Spotify account has been leaked, along with its password details, to public. 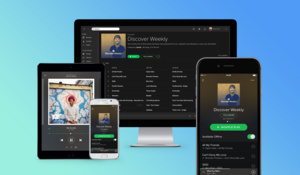 Today, a list of more than 6'000 Spotify accounts were posted to public, with unencrypted passwords and subscription country details. Our tool contains only the account names of the leaked accounts, so you can simply search for your Spotify account name to see if you were among those that were hit by the leak. If your account is in the list, you must change your password immediately. This includes not only Spotify, but all the other services too where you might have used the same password in the past. Also, makse sure you use the latest Spotify client. Were they actually hacked? I mean, the default password for every account is the user name...not exactly the hardest nut to crack. Yeah, the Spotify platform is just terrible in a lot of ways...security is just one of the issues. When signing up users are not even notified that they should change their passwords from the default. Still, it can be a great value. I get it for $5 a month and basically have every song ever published at my fingertips. That is almost enough to make me forget that it randomly erases downloaded songs about once a month...an issue it has had for years and which spotify has actually said they don't intend to fix in spite of not being intentional. How did you get it for $5/mth. I pay $10/mth for my Daughter. Student price is $5 a month. ok thx. my daughter is only in grade 8.